Hey there Doodlebug fans! 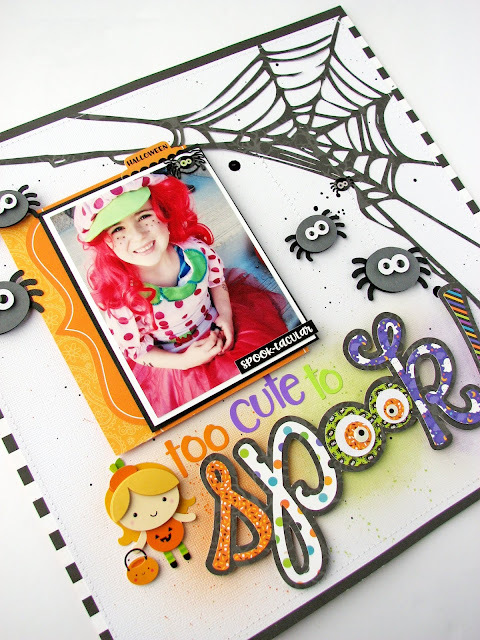 Nicole here to share a fun project using the new Pumpkin Party collection! 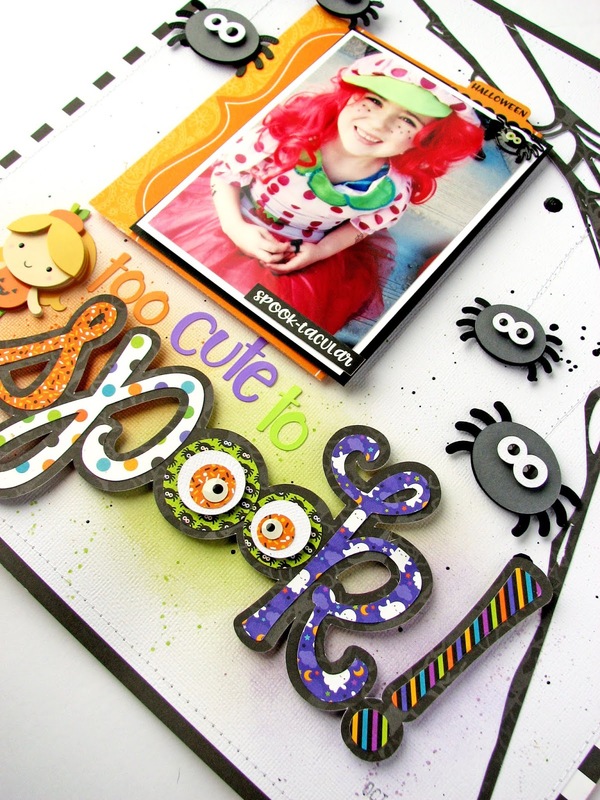 It is hard not to love the fun Halloween colors and patterns in this collection. 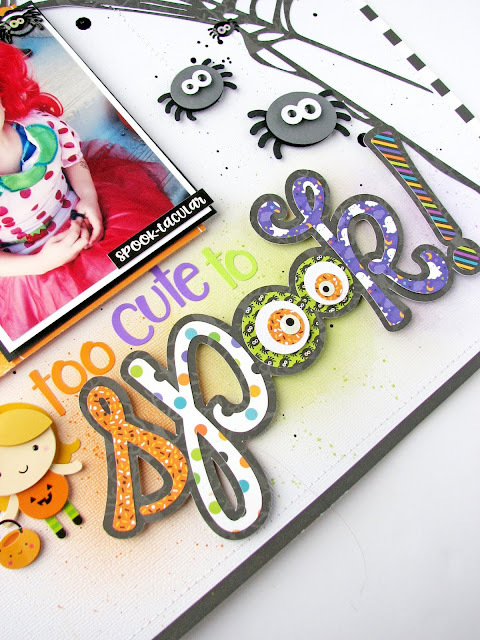 I decided to create a super large title for my page using a Doodlebug Designs Silhouette cut file and a few of those fun patterns. I used those papers layered over a black pattern in the collection to create the title and added some fun googly-eyed sprinkles to the center for fun! 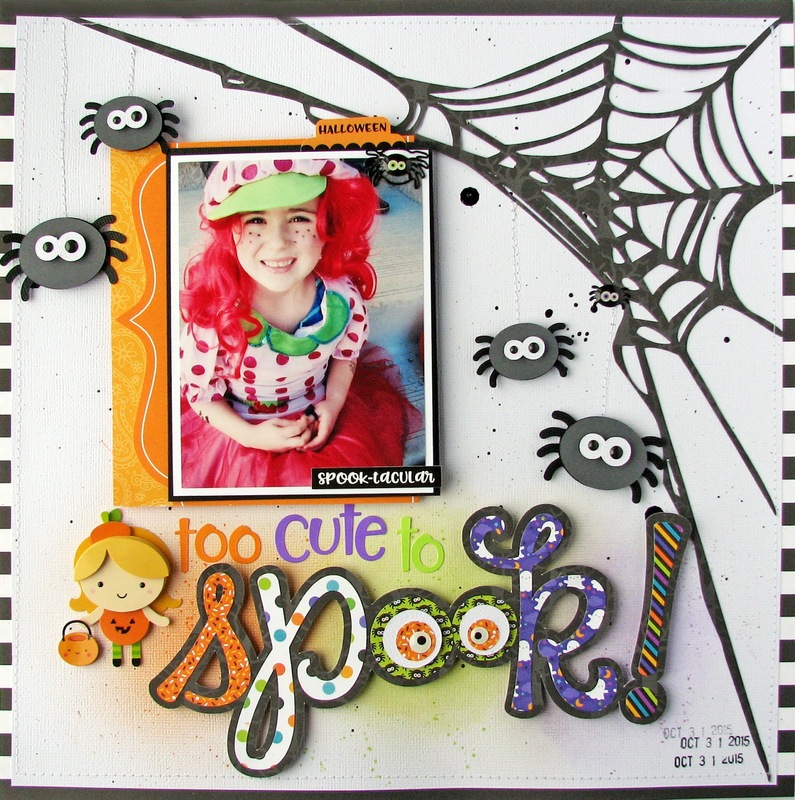 I also added some Doodlebug Designs Sprinkles to the centers of the eyes for the spiders on my page that are sprinkled around a diecut spiderweb design. I could not resist adding in a Doodlepop trick or treat sticker to finish off my page! So easy to pull a Halloween project off in a matter of time! Love the eyes in the title! !